Richway & Fuji Bio presents the BioAcoustic Mat ™, a revolutionary, lightweight, vibroacoustic therapy device. The BioAcoustic Mat ™ is soft and inflated by air, designed to make relaxation easier and more convenient. We all know music can do wonders for our health. It lifts our mood, reduces our stress, and increases our endurance. With the right melody, tempo, and beat, music can send us into a euphoria. But, can we use music and sound to treat our bodies? Vibroacoustic therapy is a form of treatment that involves employing sound to produce vibrations which are applied to the body. This emerging type of therapy is simple and non-intrusive, making it popular with many health centers. Vibroacoustic therapy was first thought to be introduced sometime between 1970 and 1980, pioneered by Norwegian therapist, Olav Skille. After having experimented with vibroacoustic extensively, Skille found that this therapy was beneficial for many different symptoms, such as the management of pain and relief from tension. Vibroacoustic therapy uses two principles to restore the body. First, it stimulates the body with mechanical vibrations produced by music to deliver a deep massage. The second principle is entrainment, and refers to how one rhythm tends to influence another rhythm. Our moods are largely determined by the state of our brain waves, but certain music can influence our brains to be in another state. We went through many years of research and developmental speed bumps, but we are excited to show people our new key product, the BioAcoustic Mat ™. A product which can be used in conjunction with the Biomat® or by itself. Here at Richway, want to help people reach their goals. “Sometimes people want to be more financially independent, or sometimes they want to be healthier, but whatever their goals are, I know the BioAcoustic Mat™ will help them reach it,” said Jeanna C. Kim, CEO of Richway and Fuji Bio. Listening to music helps us reduce our stress levels. However, what if we could feel the relaxation as well? The BioAcoustic Mat ™ uses three speakers. The first speaker is a powerful, low frequency transducer which sends vibrations into the larger muscles. The two smaller speakers, located near the top, play higher frequencies to target smaller muscles. The low frequency vibrations from the BioAcoustic Mat ™ stimulates the nerves in the spine, deep tissue, and limbic system. 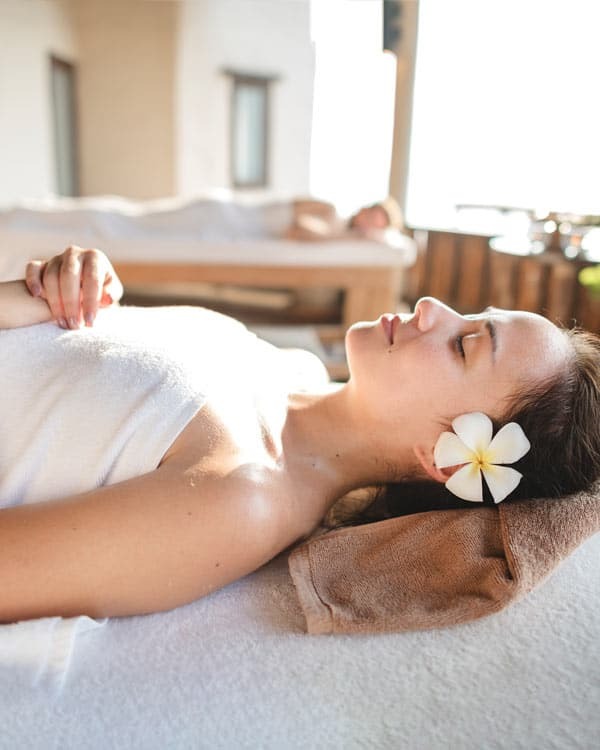 This drives our emotional response, which activates the auditory nerves that connect to our muscle tissue which help relax them. 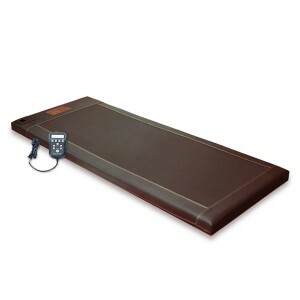 The BioAcoustic Mat ™ comes with 12 specially designed soothing tracks to re-energize or relax your mind and body. Doctor Lee Bartel, Director of the Canadian Music Education Research Centre, developed the music on the BioAcoustic Mat™. He leads the charge for the research on vibroacoustic therapy. Dr. Bartel has professionally recorded and developed the therapeutic soundtracks, with songs ranging from digital instruments to soothing nature sounds. Why do you need music that has been designed by doctors? The music that comes with the BioAcoustic Mat ™ is composed to be pleasing to the ear. The music is embedded with specific frequencies which encourages our brains to be happy, relaxed, focused, or even sleepy! Brainwaves are the electrical pulses responsible for the communication between the neurons in your brains. 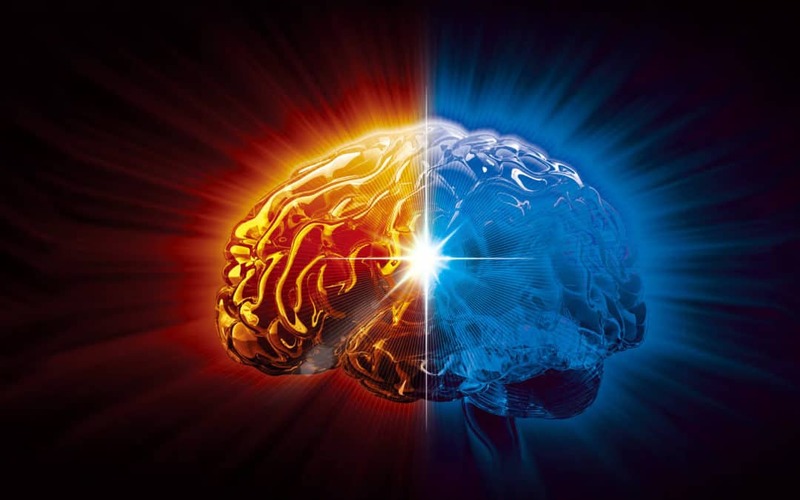 The state of your brain and how your day is going have an inseparable relationship. Using an EEG (electroencephalography), a small metal band fitted with sensors that sits on your head, you can measure your brain activity. Some of them might sound familiar to you, alpha waves, theta waves, delta waves. These different waves accompany the different types of emotional states. Delta brainwaves are slow, loud waves. These waves suspend our external awareness and are associated with the deepest stages of sleep. Research has found that Delta waves contribute to regulating many of our unconscious bodily functions, as well as gives us a more restful sleep. Theta brainwaves occur most often while we sleep, where we experience greater imagery and information than our normal consciousness. Theta waves provide a positive mental state, encourages creativity, and are associated with learning and memory. Alpha brainwaves occur when we are in quiet thought. This brainwave can be recognized as the resting state of the brain. Alpha waves aid us in keeping calm and coordinating our thoughts. 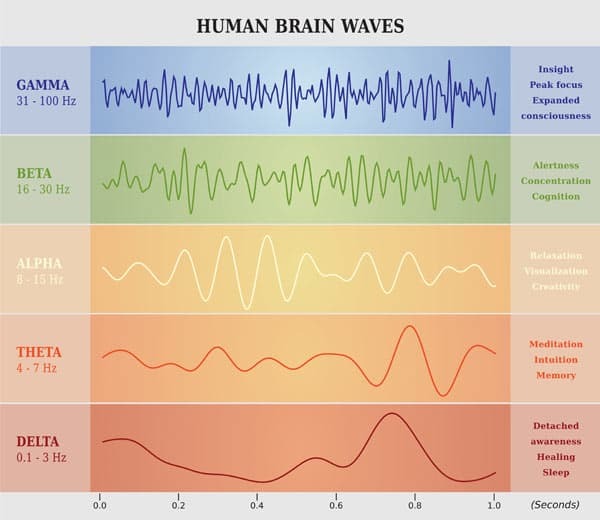 Beta brainwaves are another type of wave that dominates our waking consciousness. This type of wave is generated when your attention is directed towards cognitive tasks. Beta waves are described as fast and are present when we are engaged and focused. And finally, we have Gamma brainwaves, the fastest of brainwaves. This wave passes information quickly, and because of how quiet this wave is, it was first dismissed as “spare brain noise”. Gamma waves are more of a recent discovery, so our understanding of them is still evolving, but it is speculated that it plays a role in how we engage with our consciousness. Enjoy peace of mind as you get comfortable with the latest home-therapy technology. The Richway BioAcoustic Mat ™ is safe, user-friendly, and a non-invasive option when it comes to relaxation. Get the most out of your body! The Richway BioAcoustic Mat ™ will be available for purchase soon. Please email us at [email protected] if you would like to be notified when it is available for sale.